Cinecon Day 2: Symbolism and Metaphor in “Dangerous to Know” (1938), and Other Noteworthy Festival Events. Anna May Wong and Akim Tamiroff in “Dangerous to Know” (1938). The theme of this, the second day of Cinecon, seems to be a motif of masterfully crafted symbolism. I noticed the skill in the subtlety of metaphor first in Dangerous to Know, a surprisingly touching crime film starring Anna May Wong and Akim Tamiroff in the main roles. The movie is slow to start, and the plot is rather unclear, but about half an hour before the end of the film, the plot picked up so quickly that I was on the edge of my chair waiting to see what would happen. The film is rare and, as far as I know, not commercially available, so I don’t feel too badly giving away plot points, but just in case you want to be warned, SPOILER ALERT. Throughout the movie, the character of Lan Ying (played by Anna May Wong) is referred to as the “hostess” of noted gangster Steven Recka, but glances and innuendo from various characters makes it very clear that she is his girlfriend. Under the Hays Code, interracial dating was taboo, so any reference to love between them had to be relegated to innuendo, which in this case, makes the film much more ethereal and mysterious, adding to the already mysterious aura of Anna May Wong. After a long spree of killing and kidnapping, Steven is unexpectedly called for drinks by Lan Ying, who pours drinks for herself and for him while maintaining a very calm, soft voice. When Steven tells her he thinks she’s acting strangely, she turns on a record, which happens to be a recording of “Thanks For the Memories.” With tears in her eyes, she drinks. Steven does not. Steven then heads over to play the organ, a favorite hobby of his. As he plays, we see Lan Ying, situated behind his back, pull out a knife and start toward him. As she gets closer, she notices the tranquil look on his face as he plays. She puts her hand on his shoulder, and turns the knife toward herself. In a moment of supreme irony, she stabs herself in the stomach, committing suicide just at the moment a detective, who has been following Steven all through the movie, walks in the door. Naturally, he assumes that Lan Ying is just the latest in Steven’s string of murders, and carts him away to trial. As he goes, he gives funeral directions to the servants for Lan Ying. “She loved the Bach Largo,” he says, and instructs them to play that at the funeral. It is at once a sad and vindictive scene, as we have come to see Steven as a feeling person, but a criminal nonetheless and we are saddened to see him carted off for the suicide of his girlfriend, but happy that justice is being carried out for a murderer. The first thing I would like to point out is that hara kiri (the act of suicide by way of stabbing oneself in the stomach) is hardly a new motif in the arts. In fact, the suicide of Lan Ying hearkened back to an exponentially more famous character, Cho-Cho-San from Puccini’s opera Madame Butterfly, who committed suicide in the same way. It is hardly speculation that the creators of this film fashioned this moment from Madame Butterfly, and certainly the Asian influence of both characters most likely inspired this aspect of the storyline. 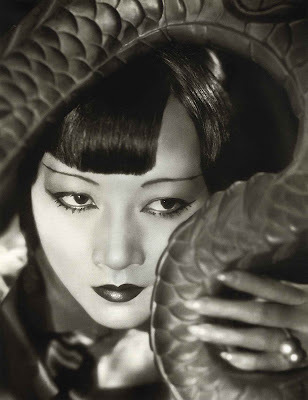 In pre-racially aware Hollywood, it was not uncommon to see stereotypes created of minorities from any and every source available, and in this case Anna May Wong, a third-generation California native from Los Angeles, was relegated to the demure Asian “Butterfly” stereotype that continues to permeate certain films to this day. 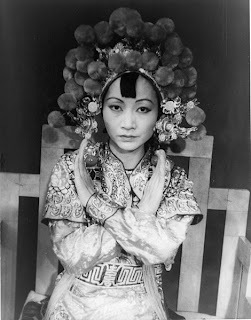 Anna May Wong in a typical role for her career. After the movie, I had a discussion with the pianist who had played the score for the film, who happens to be an expert on organs. He informed me, much to my fascination, that the particular type of organ that the character of Steven plays at the end of the film, is designed for use at funerals. Thus, there is a subtle foreshadowing, reserved only for those who know music well, of what is to become of Lan Ying only moments later. The film itself is filled with music. We know from the very beginning that Steven is a talented and and passionate musician, who always wished his life had ended up in such a way that he could pursue music as a profession instead of turning to a life of crime. It is thus further significant that the “Butterfly” character be implied through the suicide of Lan Ying, as the musical theme continues through the plot line even in covert ways. When this movie started, I was prepared not to like it, and truth be told the first hour left a lot to be desired. But the ending turned it completely around for me, and when I reflect on the film hours later, I remember it as a fascinating and enjoyable hour and a half. 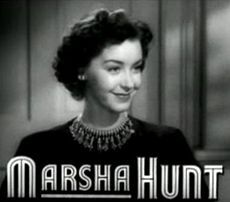 Jane Withers and Marsha Hunt showed up for the screening of Gentle Julia, and after the film was over, I was saddened to see that the entire audience was flocking to Jane Withers and Marsha Hunt, who was wonderful in the film and just as beautiful today at 95 as she was at age 17 in the film, was essentially left without acknowledgment. I wanted to show her how much I appreciated her, so I approached her and expressed my thanks for her attendance, and remarked on her extraordinary beauty. We ended up talking for a good 10 minutes about the film, her memories, and her career. I am extraordinarily grateful for that and impressed with her lovely personality and sweet, modest nature. She told me that she and Jane were initially asked to have an interview, but they ran out of time. One screening, Dollars and Sense, was one of the sweetest, most feel-good movies I have ever seen. It concerned a young baker who did nothing but good, and a woman comes in one day and is so taken by his generosity that she wants to work with him at the bakery. One day, he gave away so much bread that the stress of it made him ill. The woman nurses him back to health and with the help of a benefactor, helps recover his business from the debt of the bread and pays all his hospital bills. In return, the benefactor requests that she come to his apartment to “repay” him. He sends a note to David, implying an affair with the girl he had come to fall in love with. The purpose was to anger David and make him come to his apartment. Reading the note, this tireless do-gooder finally does get angry, and marches up to the benefactor’s apartment demanding an explanation. The benefactor replies that the woman is to be married. David exclaims “To you? ?” And the benefactor answers “No…to you.” He had arranged a marriage between Hazel and David. It was just the most lovely story, almost like a fairy tale, and so refreshing to see a character who seemed to be the antagonist turn out to be the hero of the whole story.